Semper K9 is proud to announce the acceptance of service dog in training Laney into our Service Dogs for Veterans program. Laney is named in honor of USMC Vietnam Veteran Ron Laney and comes to us from our rescue partner Operation Paws for Homes. 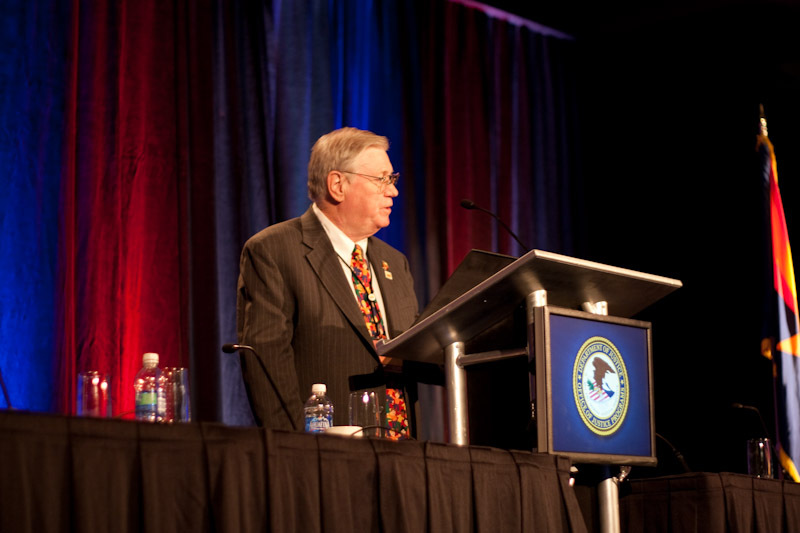 Ron “Papa Six” Laney was the Associate Administrator of the Child Protection Division within the Office of Juvenile Justice and Delinquency Prevention in the Department of Justice (OJJDP). His professional experience includes being a Probation Officer in St. Petersburg, Florida and service in the U.S. Marine Corps from 1964 to 1970 before being critically wounded during his second tour in Vietnam. He holds a master’s degree in Criminal Justice from the University of South Florida and a bachelor’s degree in Criminology from the University of Tampa. His lifelong passions are ‘service to others’ and protecting America’s children. Mr. Laney has received numerous awards from local and State law enforcement organizations for his efforts in child protection and juvenile accountability. Additionally, in August 2005 Ron was officially commended in the Congressional Record for his forward-looking leadership and commitment to child protection during the Crimes Against Children Conference in Dallas, Texas. In 2007, he was the first recipient of the “Ronald C. Laney Distinguished Service Award’, a periodic lifetime service award named in his honor and presented by the American Professional Society on the Abuse of Children. In March 2008, the National Child’s Advocacy Center awarded him the Outstanding Service Award, recognizing his more than 31 years of service and contribution in the field. This award was the first of its kind to be given to an individual who has made a significant impact in the child protection field. In our local community, Ron is a four-time Post Commander of Dale City’s Veterans of Foreign Wars Post 1503, the former State Commander and current Chapter Commander of the Dale City Semper Fi Chapter #1775 Military Order of the Purple Heart, and a continuous active member and supporter of the American Legion, the Potomac Regional Veterans Council, and the Dale City Civic Association Independence Day Parade Committee. Ronald C. “Papa Six” Laney was the Grand Marshall for the 2009 Dale City Annual 4th of July Parade.